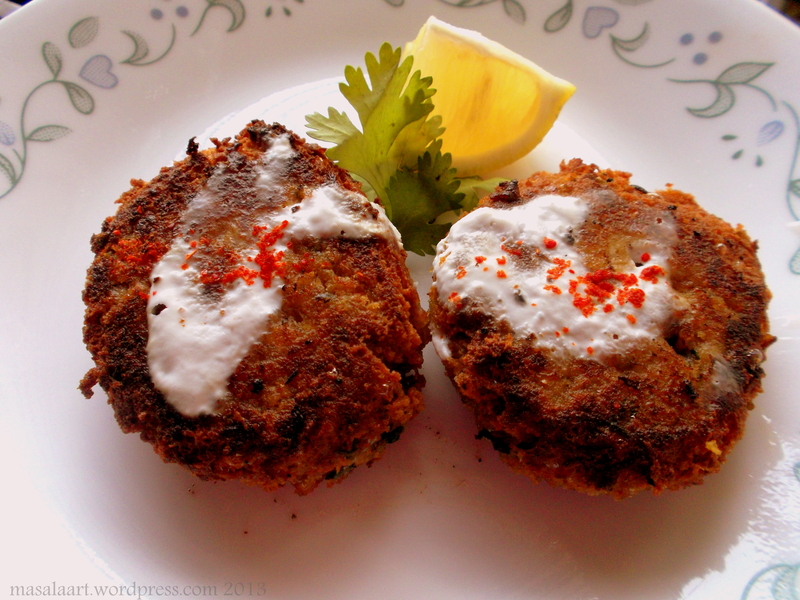 Like any Indian, I love a good cutlet. And grey, windy rainy afternoons are always better enjoyed with a nice warm crispy snack like a cutlet. My mother in law makes fantastic cutlets. She makes them with chicken, tuna, mutton, veg- you name it. And I’ve seen how much effort she takes. It is a half-day-long process: between seasoning and cooking the meat & potatoes, to making the cutlet mash and putting everything together with breadcrumbs before frying. It takes effort, but it’s definitely worth it in the end. I have seen how it is made. I know what you need to make it. Yet, I never considered making it at home! I saw the recipe in the May issue of BBC Good Food India, and I thought: this is too simple to not attempt. It calls for a handful of ingredients that are easily available in the supermarket and which you probably already have in your pantry. Most Indian homes will have chickpeas or kabuli channa in stock, so that’s the core ingredient taken care of. Cumin: check. Chilli powder: check. Garlic: check. Parsley: I didn’t have any, so I used cilantro instead. (Cilantro, garlic, chilli and cumin go quite well together- Indian curries usually have all in varying degrees!) I also used a combination of plain flour and chickpea flour to get it nice and crisp on the surface. Put the garlic and cilantro in a blender/food processor and pulse till roughly chopped. 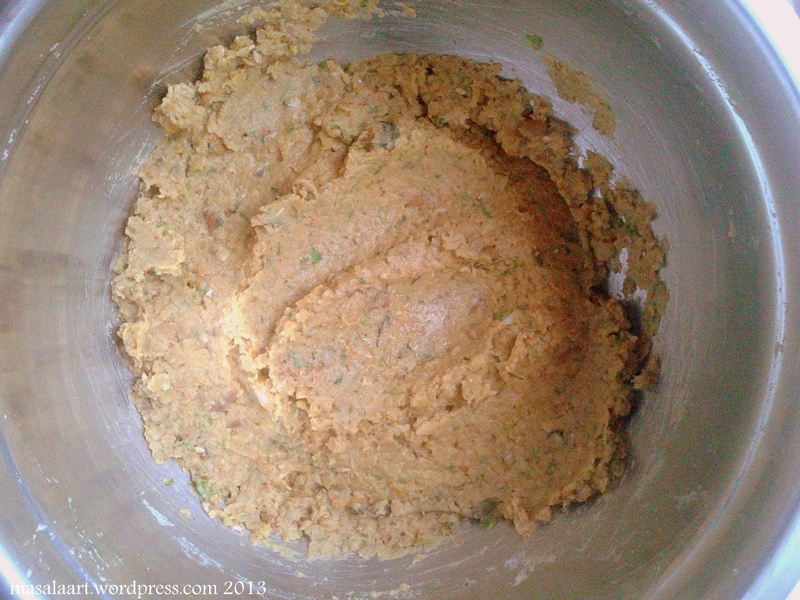 Add the chickpeas, cumin, chilli powder, flours, salt and pepper and blend till everything is semi-smooth. Take the mixture out of the blender/food processor. Shape into balls, then flatten slightly with the palm of your hand. Heat oil in a pan and fry the falafels for about 3 minutes on each side. OMG I love falafel. LOOOOOVEEEE. Great recipe!!! Lol! Well, when I am in Dallas, I will make sure I get them to you!! Thanks Daniela! I have been making these quite often when people come over. It’s a nice change from Indian chickpea curries! I llooooooove falafel and always end up adding cilantro to it. The Indian gene is strong there… 🙂 looks so yum! I think the cilantro sub was genius! I love falafel. I’ll try making these this summer, maybe with some of my tomatoes from the garden, once they are finally ripe! Aww thanks! Cilantro is so abundant here- grocers always give you a bunch of cilantro, curry leaves, green chillies and a knob of ginger every time you buy your weekly veggies. And I am jealous- you have home grown tomatoes! Wow, I wish I’d get that every week for free! We’ve got plenty of cilantro in California, as it’s a staple of Mexican food. Mmmm, Indian and Mexican food. Two of my faves! And the tomatoes are on their way…not quite ripe yet. I can’t wait to play with the purple heirlooms! Yeah there are quite a few similarities- kidney beans too. Looking forward to those purple heirlooms! Haha that is true. 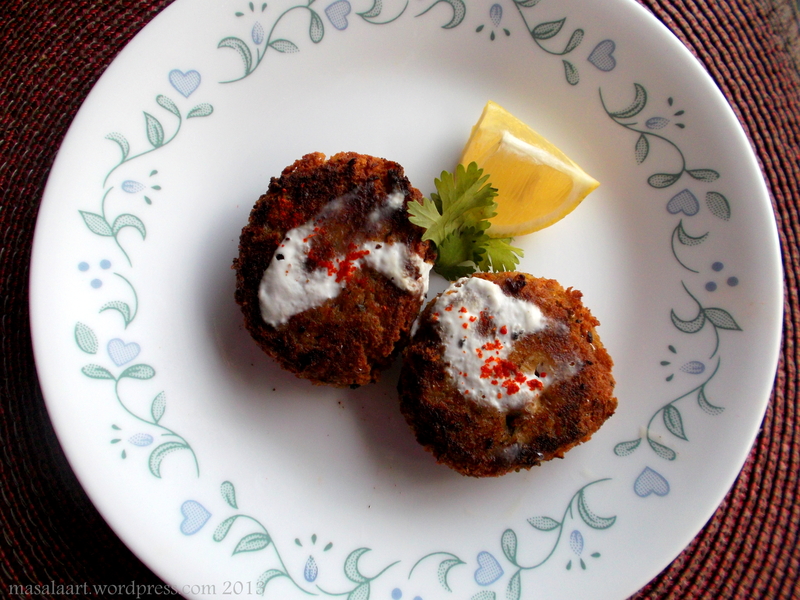 Cutlets go with everything- rice, chapati, bread, you name it!